Aries, the Ram, is seen rising. 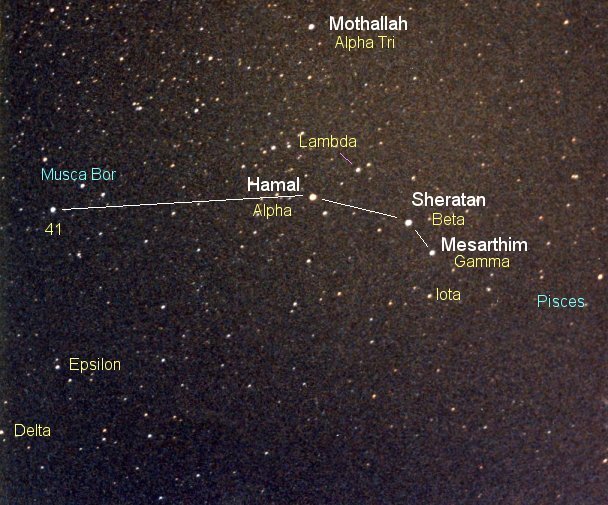 From left to right, the stars are Hamal (Alpha, at center), Sheratan (Beta), and Mesarthin (Gamma). The third brightest star, Flamsteed 41, is far to the left. It was once part of the now-defunct modern constellation Musca Borealis, the Northern Fly.